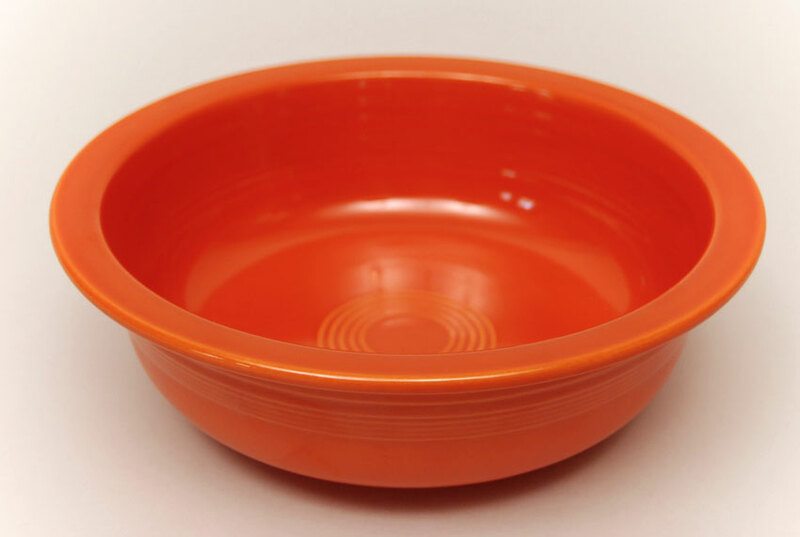 Circa 1936-1937. 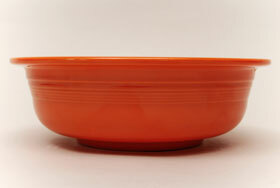 Vintage fiesta 9 1/2 inch vegetable bowl in early red glaze. 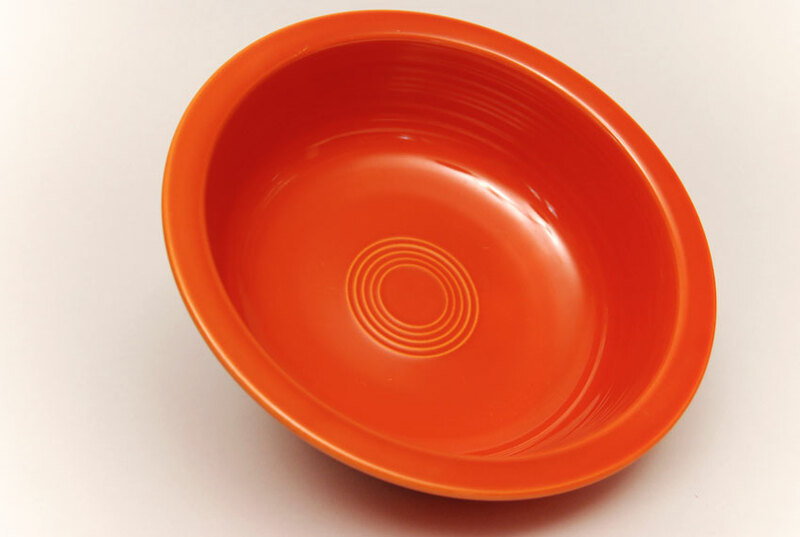 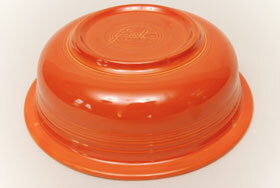 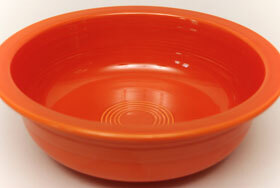 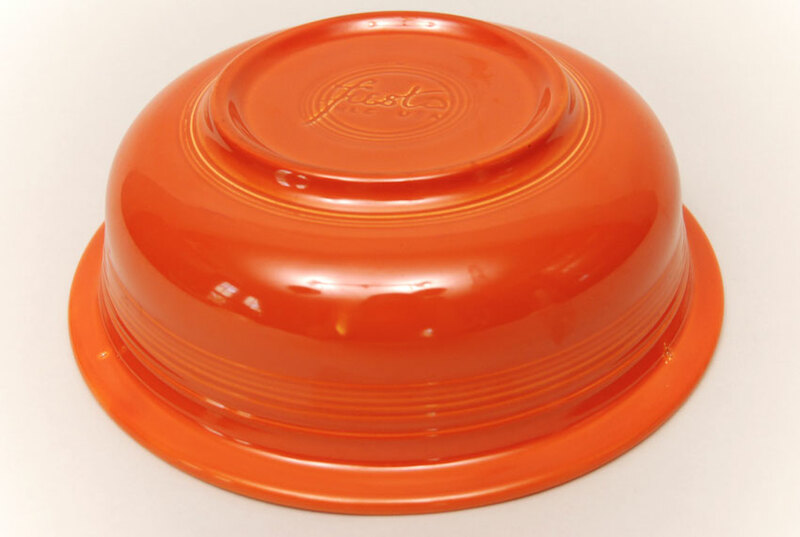 The number of different styled bowls in the vintage Fiesta pottery line is staggering. The nappy bowl does not disappoint with it's abundance of concentric rings and large, wide lip. 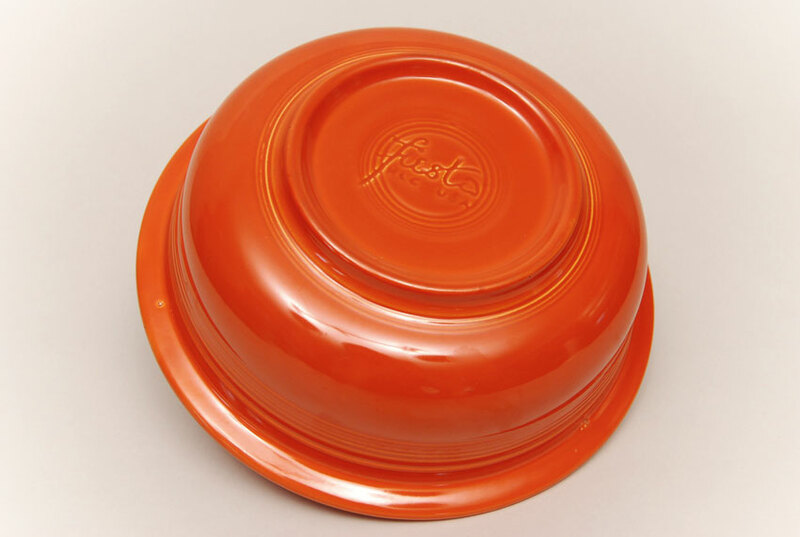 This example in the original vintage Fiesta red glaze is in excellent condition.